Every Quarter our GM/Executive Chef, Brett Schafersman and our Operations Director, Morgan Ward put together with help from our Management Team an incredible evening of great food & local/regional craft beer. 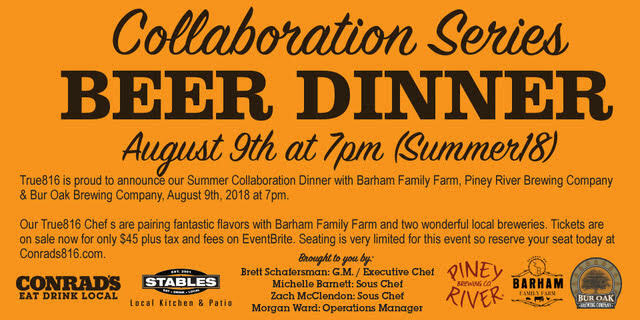 This Summer 2018 Collaboration Dinner includes the Piney River Brewing in Bucyrus, Bur Oak Brewing Company in Columbia, and Barham Family Farm. 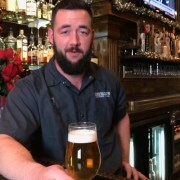 These businesses collectively strive to create a wonderful four coursed menu paired with their personally selected craft beer features. 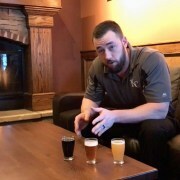 They try to show the contrast between flavors and brewers. Each Brewery will have someone here to talk about their product and their process. 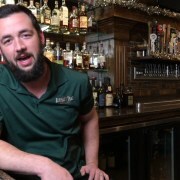 Learn about their breweries, their beer and enjoy a wonderful four-course dinner paired by our True816 team. 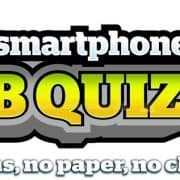 This is another Don’t Miss Event! For more great upcoming events, be sure to check out our Event Calendar, or sign up for our free e-newsletter. 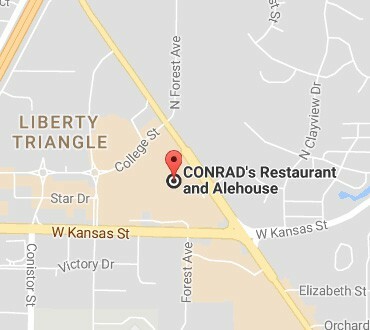 CONRAD’S Spring 2018 Collaboration Beer Dinner – May 10th at 7p... 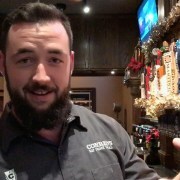 Tap Chat: Prairie Artisan Ales Christmas BOMB!